According to the Washington Post, the unemployment rate for post-9/11 military veterans is higher than the rate for non-veterans of similar demographics and age. In 2012 and 2013, the unemployment rate for post-9/11 veterans has held steadily at 10 percent, which translates into approximately 246,000 veterans. As members of the military can retire from service earlier than the average retirement age of 65, many decide to start another career as a veteran. The U.S. Bureau of Labor Statistics 1 reports that 21.4 million individuals in the American workforce in 2013 were military veterans, accounting for 9 percent of the civilian noninstitutional adult population. The major issues for veterans reentering the workforce are lack of civilian work experience and disability. Veterans often don’t have the necessary on-the-job experience to qualify for a civilian position due to their time spent in service and overseas in active duty. Another concern for many veterans is that many were injured in service and are now disabled. Thankfully, there are several routes that military veterans, including those who are disabled, can take to increase their career opportunities after returning from duty. Additionally, the training and travel experiences granted to military personnel increase a veteran’s ability to work with others in practically any work environment. Veterans looking for jobs should emphasize these positive qualities when applying for a civilian position. Most veterans are actually more qualified for well-paying jobs than they realize. In order to improve a veteran’s odds of finding employment in a desired occupation, a number of educational programs targeting members of the military have been established. Veterans who don’t know which career path they want to pursue can consult their local VA office for educational and career advice. They can also receive one-on-one benefits coaching to help determine how to use veteran benefits, such as the GI Bill, to fund their education or training. The Refrigeration School lets eligible veterans finance their vocational training program through the GI Bill. Furthermore, RSI also offers military tuition pricing for eligible servicemen and women and their dependents. Positions in technology and the skilled trades are in particularly high demand. Many jobs in these fields often also have higher-than-average growth rates. Skilled trades careers are an attractive choice, as they don’t require a college degree from a 4-year institution, which many veterans don’t have due to their years spent in the field. Moreover, Military.com notes that the dearth of qualified personnel in the skilled trades poses a great opportunity for transitioning servicemen and women. While most industries in this country are still only slowly recovering from the recession, many fields in the skilled trades are flourishing. The construction and energy industries, for instance, are desperately looking for qualified workers. Military.com also offers two services aimed at connecting veterans and transitioning service members to the skilled trades. 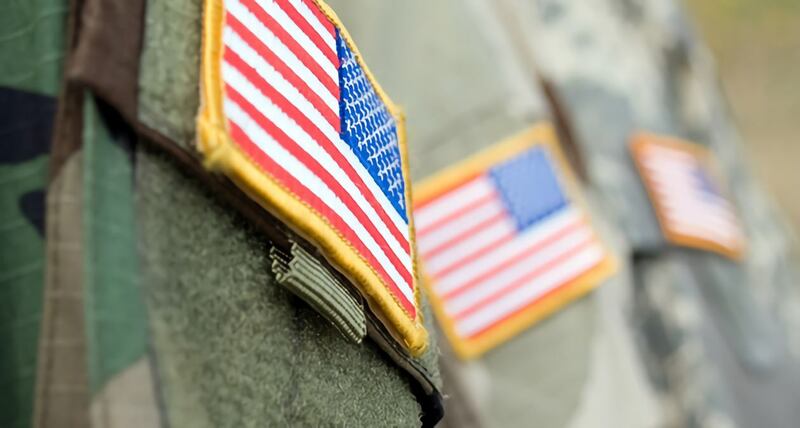 The Skills Translator assists veterans looking for jobs in the trade industry and helps them determine how to translate their military skills into civilian terminology. The Veteran Career Network connects servicemen and women with training opportunities and mentors who work or have worked in the skilled trades. Another website, Helmets to Hardhats (H2H), helps military members connect and find work in the construction industry. For those seeking gainful and long-term employment following active duty in the U.S. military, a vocational career can be a promising choice. The Office of Disability Employment Policy offers a wide range of tips and legal recommendations for veterans with disabilities. For instance, veterans can subscribe to Business Sense, which offers ongoing news and information regarding disabled veterans in the workforce. Vets First is a nonprofit organization that provides former service members with a comprehensive disabled veteran employment and education guide. In addition, the Vietnam Era Veterans’ readjustment Assistance Act of 1974 and Section 503 of the Rehabilitation Act of 1973 require federal contractors and subcontractors to affirmatively recruit, hire, train and promote qualified veterans and people with disabilities respectively. A new rule under Section 503 mandates that federal contractors and subcontractors should strive to hire 7 percent of the their workforce from a pool of qualified individuals with disabilities. Veterans with disabilities thus ought to consider applying to companies that accept federal contracts.